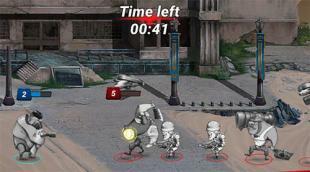 Zombie heroes: Landing beach - gather a combat squad and fight against zombies in different corners of the world. 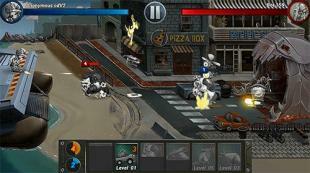 Destroy hordes of monsters using modern weapons. Global plague turned most of planet citizens into zombies in this Android game. You are a captain of a landing craft carrier. You can travel across the world and land for completing missions. Send your soldiers to the battle. Defend your craft from approaching zombies. Apply flying drones and other modern machinery. Challenge players from all over the world.